Your car’s dashboard is like your car’s press conference: it’s how the car communicates with you, officially. Sure, you get rumors in the form of noises, smells, and shimmies, but those gauges sitting in front of your face represent the information the Carmaker has decided to share with you. What if that information was totally useless? That ‘VACUUM in HG’ gauge, I was told by an engineer, was put there pretty much just because it moves a lot when you give the car the beans. It’s fun to watch. That’s pretty much it. Drivers don’t really need it, but it’s fun to watch needles bounce around. 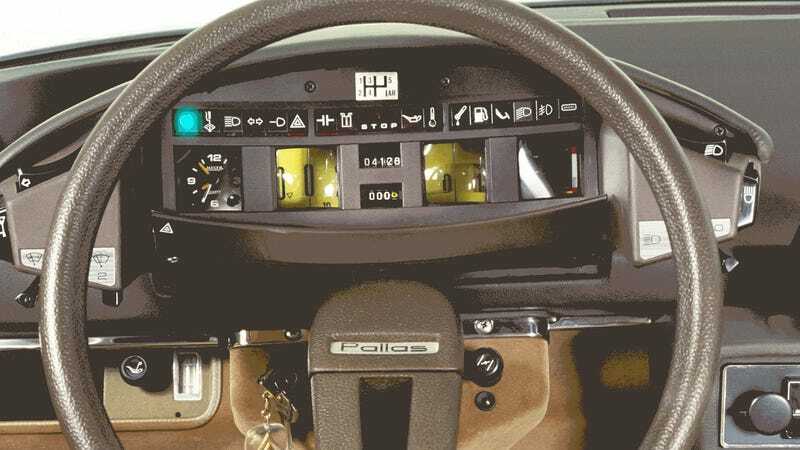 So, with that as an inspiration, I decided to find the most useless instrument panel gauges in all of automobildom. Here’s what I found. Enjoy. Maybe I made these up?